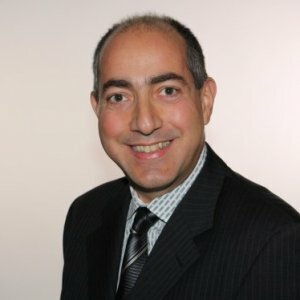 Rami Rahal is the Executive Director, Cancer Control at the Canadian Partnership Against Cancer. He leads the team that is responsible for researching, developing, analyzing and reporting on a broad range of system performance indicators and the production of a series of national reports and studies. Mr. Rahal has more than 20 years of experience helping healthcare organizations and governments make informed decisions in management, policy, and planning. He combines expertise in healthcare management information and evidence-based decision support with a broad knowledge of the Canadian healthcare system. He has authored several articles on the topic of cancer system performance measurement and has presented at a number of international conferences. He has also led a number of workshops and courses on system performance measurement and evidence based policy at both the national and international levels. Mr. Rahal holds a Bachelor of Science in Molecular Biology and Genetics from the University of Toronto, and a Master of Business Administration in Health Services Management from McMaster University. Rami Rahal with the Canadian Partnership Against Cancer thinks those odds can be improved by ensuring those with less money can access the same level of care as wealthier patients. In Monday's report on prostate cancer control, the group said data suggests three-quarters of men with low-risk prostate cancer in Manitoba and Prince Edward Island opted for active surveillance. In contrast, more than half of low-risk prostate cancer patients in British Columbia, Alberta, Saskatchewan and Nova Scotia were treated with surgery, radiation, or a combination, treatments with possible side-effects that include erectile dysfunction and incontinence. The group said it's the first time they've been able to investigate the variations in treatment across Canada. "What we found was there was a lot of inconsistency," said Rami Rahal, director of system performance and surveillance at the Canadian Partnership Against Cancer in Toronto. Evidence shows that continued smoking by cancer patients leads to adverse treatment outcomes and affects survival. Smoking diminishes treatment effectiveness, exacerbates side effects, and increases the risk of developing additional complications. Patients who continue to smoke also have a higher risk of developing a second primary cancer or experiencing a cancer recurrence, both of which ultimately contribute to poorer quality of life and poorer survival. Here, we present a snapshot of smoking behaviours of current cancer patients compared with the non-cancer patient population in Canada. Minimal differences in smoking behaviours were noted between current cancer patients and the rest of the population. Based on 2011–2014 data from the Canadian Community Health Survey, 1 in 5 current cancer patients (20.1%) reported daily or occasional smoking. That estimate is comparable to findings in the surveyed non-cancer patient population, of whom 19.3% reported smoking daily or occasionally. Slightly more male cancer patients than female cancer patients identified as current smokers. A similar distribution was observed in the non-cancer patient population. There is an urgent need across Canada to better support cancer patients in quitting smoking. As a result, the quality of patient care will improve, as will cancer treatment and survival outcomes, and quality of life for these patients. Many prostate cancers (pcas) are indolent and, if left untreated, are unlikely to cause death or morbidity in a man's lifetime. As a result of testing for prostate-specific antigen, more such cases are being identified, leading to concerns about "overdiagnosis" and consequent overtreatment of pca. To mitigate the risks associated with overtreatment (that is, invasive therapies that might cause harm to the patient without tangible benefit), approaches such as active surveillance are now preferred for many men with low-risk localized pca (specifically, T1/2a, prostate-specific antigen ≤ 10 ng/mL, and Gleason score ≤ 6). Here, we report on patterns of care and treatment trends for men with localized low-risk pca. In general, guideline-recommended treatment options for men with low-risk prostate cancer (pca) include active surveillance, radical prostatectomy, and external-beam radiation therapy or brachytherapy. Because of the concern about overdiagnosis and consequent overtreatment of pca, patients with low-risk disease are increasingly being managed with active surveillance. Using data from six provincial cancer registries, we examined treatment patterns within a year of a diagnosis of localized low-risk pca, and we assessed differences by age. Access to cancer care is a significant concern for Canadians. Prolonged delays between cancer diagnosis and treatment have been associated with anxiety, stress, and perceived powerlessness for patients and their family members. Longer wait times can also be associated with poorer prognosis, although the evidence is inconclusive. Here, we report national wait times for radiation therapy and surgery for localized prostate cancer (pca) and the effect of wait time on patient perceptions of their care. Approximately 9200 people in Canada die from colorectal cancer each year1, and about 20% of those tumours involve the rectum2. Surgery is the first-line treatment for nonmetastatic rectal cancer; the goal is complete removal of the tumour with no residual cancer cells left behind. Rectal cancer care has become increasingly multidisciplinary. Most treatment guidelines suggest that neoadjuvant therapy, including chemotherapy and radiation, be considered in the treatment of stage ii and iii rectal cancer, both to shrink the tumour and to improve surgical and overall outcomes3. The circumferential resection margin (crm), also called the radial margin, is very important in rectal cancer surgery, being a prognostic factor in patients who undergo such surgery. As recorded in the pathology report, a positive crm has been defined as a margin of normal tissue that is 1 mm or less from the edge of the original tumour, a measurement that comes from evidence-based guidelines4. A crm of less than 1 mm has been shown to be a strongly negative prognostic factor: specifically, it predicts for subsequent locoregional recurrence and poorer overall survival4. Guidelines recommend negative margins (>1 mm) for all rectal cancer patients who undergo resection5,6, and the rate of crm positivity is widely used as a quality indicator in rectal cancer care. Two major changes in rectal cancer treatment since the early 1990s are recognition of the importance of surgical technique (and specifically the adoption of total mesorectal excision) and increased use of neoadjuvant therapies. Those changes have contributed both to a reduction in positive crm rates and in local and regional recurrences. However, despite best efforts, concern remains about potential variations in rectal cancer treatment and outcomes. The System Performance Initiative at the Canadian Partnership Against Cancer regularly reports on standardized indicators at a national level to help identify opportunities for pan-Canadian system improvements. Recognizing that surgical resection is generally recommended as first-line treatment for nonmetastatic disease, the first indicator presented in this rectal cancer surgery–focused report is the rectal cancer resection rate. The second indicator is the rate of crm positivity among patients undergoing rectal cancer resection. A better understanding of the data can help to identify best practices, which in turn can inform quality improvements. Acute inpatient hospital stays represent a major portion of cancer care costs. All complex surgery and a significant portion of palliative care are delivered in the inpatient setting. Although a vast proportion of those services can be appropriate, ongoing cost pressures threatening the sustainability of the cancer care system warrant an examination of cases in which expensive inpatient care might not be the most cost-effective option. Here, we present two indicators that might help point to such cases: the percentage of day-surgery mastectomies for breast cancer and the use of the intensive care unit (icu) for cancer patients in the last 14 days of life. Although relatively invasive in nature, mastectomies can be safely performed as day surgery1. Day surgeries can be preferable to inpatient surgeries (in which a patient is admitted to a hospital bed after the operation to recover) when they consume fewer hospital resources, without at the same time compromising patient outcomes. Hospital ICUs are among the most resource-intensive patient care areas. Excessive use of critical care near end of life might indicate inappropriate utilization of resource-intensive acute care in situations in which palliative and supportive care in a non-acute setting might be more appropriate for the patient’s quality of life and constitute a better use of system resources. Positron-emission tomography (pet) has emerged as an effective imaging method for diagnosing, staging, and treating lung cancer. Studies show that information derived from pet has led to a change in the intended treatment plan in 36%–50% of cases. At December 2011, approximately 31 centres were operating publicly funded pet scanners in 8 Canadian provinces (British Columbia, Alberta, Saskatchewan, Manitoba, Ontario, Quebec, New Brunswick, and Nova Scotia). Historically, the number of pet scanners per million population has been reported to an indicator of diagnostic technology capacity in cancer care. Although that number is an acceptable indicator for the availability of pet scanners in Canada, it provides no evidence about the actual utilization of the technology. The goal of the present study was to describe the use of publicly funded pet in the diagnosis and staging of patients with non-small-cell lung cancer (NSCLC) in provinces with active publicly funded pet scanners. Analyzing utilization patterns can help to inform opportunities for increasing the evidence-based use of pet, while lowering use outside the evidence base; for developing meaningful pet utilization indicators; and for standardizing the manner in which pet technology is used to diagnose, stage, and manage the treatment of NSCLC across Canada. This is the first pan-Canadian analysis on the topic. Surgery is a common and important component of breast cancer treatment. We assessed the rates of breast cancer surgery across Canada from 2007/08 to 2009/10. Methods: We used hospital and day surgery data from the Canadian Institute for Health Information to assemble a cohort of women who had undergone breast cancer surgery. We identified the index surgical procedure and subsequent surgical procedures performed within 1 year for each woman included in the analysis. We calculated the crude mastectomy rate for each province, and we calculated the adjusted mastectomy rate for select jurisdictions using a logistic regression model fitted using age, neighbourhood income quintile and travel time.